DURHAM – What would you do with $1 million? For some of us, it might involve building a home in a tropical paradise, but for Bob Crowley, who took the $1 million “Survivor” prize in 2008, the choice was someplace far less exotic – the woods of Durham, where he and his wife have just opened a retreat. Maine Forest Yurts, a 100-acre retreat located next to Runaround Pond on the Durham-Pownal Road, features fully furnished yurts, the eco-friendly circular dwellings popular in Central Asia but catching on in America. “Well, it’s funny, because the real reason is that we have owned land here for the past 30 years,” said Crowley on Monday, speaking from an airport in Arizona, where he had just wrapped up a weekend of “Survivor” style competition with fans of the show. Crowley and his wife Peggy have one prototype yurt built, along with a “ranger cabin,” both fully furnished with cooking facilities and well suited for long-term stays. With little advertising and without a proper sign to mark the business, Crowley said, the first two weeks of operation have been busier than expected. According to the business website, rates are $125 per night Sunday through Thursday and $140 per night Friday and Saturday. Since his triumph, Crowley has retired from teaching and devoted much of his time raising money for charity. He is planning to host a “Survivor”-style challenge at the retreat in September. Eighteen participants will compete, with all money raised going toward helping military veterans. His new charitable organization, the Durham Warriors, aims to create free housing for vets. Crowley still lives in South Portland, but spends four nights a week in Durham working on a variety of projects at the retreat. 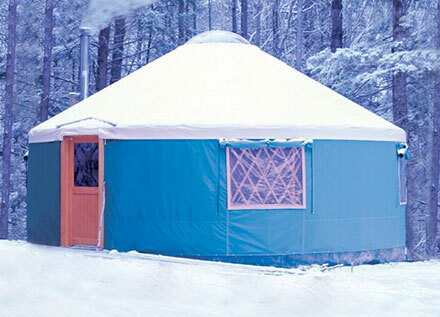 The first yurt at Maine Forest Yurts in Durham, owned by “Survivor: Gabon” winner Bob Crowley. The retreat is designed for the adventurous traveler. 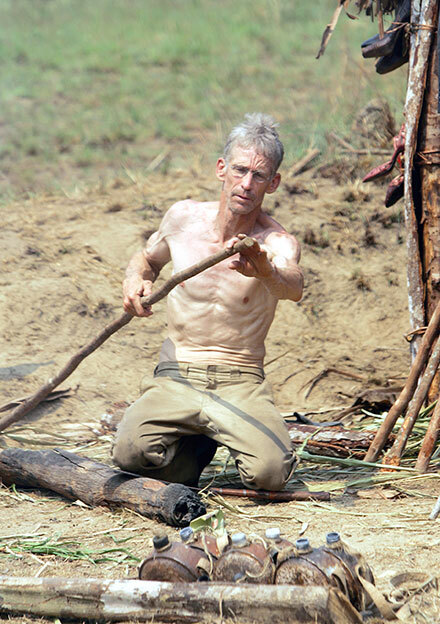 Bob Crowley competes in “Survivor: Gabon,” the reality TV show that aired in 2008. He won $1 million.